Get organized: this storage option is ideal for linens and bath items of all sizes. Limited lifetime warranty. For more information please call 1-800-986-3460. The Emma 20 inch linen tower embraces purity of design and masterful construction. The linen tower in Dove Gray finish paired with brushed nickel hardware brings to life the collection's simple, clean lines. Emma linen tower provides abundant storage and Zen-like functionality. Soft-close glides and hinges keep things quiet and the solid wood frame and dovetail joints keep things strong. Emma makes your bathroom beautiful. The Madison 24-inch linen tower combines function with style. 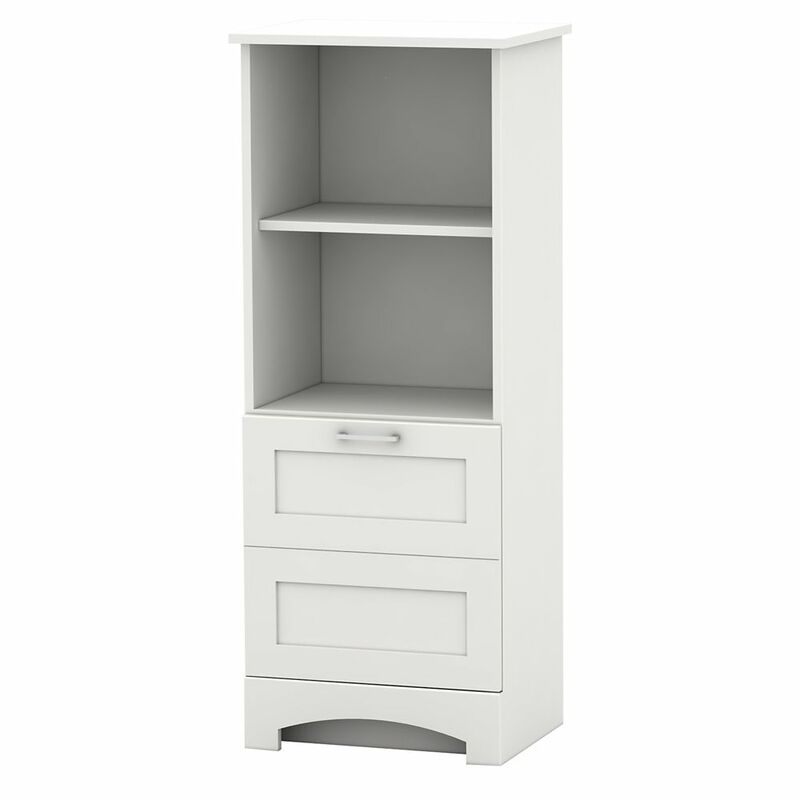 The linen tower is designed with strong attractive lines and finish in White with old bronze hardware. It is constructed of Solid poplar wood and veneer and veneer with soft-close door hinges and DWR glides. It features multiple shelves and DWRs to accommodate all your storage needs. 48 Inch H Casotto Linen Tower Get organized: this storage option is ideal for linens and bath items of all sizes.